Imagine your neighbor has some antique furniture in his garage that he's offered to let you have if you'll haul it off for him. It's something you could use, like a chest of drawers, but you know your wife won't let you bring that dirty, broken down thing in the house, much less approve of it in her neatly-kept bedroom. What's a junker to do? We know from watching Antiques Roadshow that refinishing furniture can diminish the value, but we've also seen Rick Dale completely redoing all types of old stuff on the History Channel's American Restoration. Which rules apply to your neighbor's old dresser? Unless the piece is an American masterpiece of antique furniture or finished with a hand-painted technique (some finishes are actually lesser woods painted to look like a tiger oak or bird's eye maple, for example, and those techniques add value when they stay in place over time), cleaning and/or restoring the piece may actually do you more good than harm when it comes to value. Just make sure it's not a piece made by a well-known craftsman like Gustav Stickley before you begin. And, it's wise to keep in mind that you can actually bring a piece of old furniture back to life with minimal effort in many cases. Take some time to inspect the piece of furniture for any identifying labels or marks that might help you research its origin. Look at the overall quality of the wood and craftsmanship, including any carving present. If it turns out to be an extremely valuable item, leave it alone. Any fixer-up tasks accomplished on a piece like that should be left to a professional who works with high-end antique furniture. A museum curator in your area can probably point you in the right direction to find someone who does this type of work locally. If it turns out that the piece isn't a rare antique, it's still better to take the path of least resistance when possible. If that dirty dresser has held together pretty well over time, try just cleaning out any accumulated debris and giving it a good dusting. Even with furniture that isn't of masterpiece caliber, most tried and true collectors value an original finish and a little patina that actually makes an item look old, and you might decide to sell the piece some day. Sometimes a once-over cleaning and a little glue to hold the joints together securely will do a world of good. When that's still not enough, figure out just how much restoration to the finish and components will be necessary to make it presentable. Tossing Around the Term "Restoration"
You'll notice use the term "restoration" is used quite liberally here. That's because it's always better to restore a piece to its original state if you can, rather than totally changing it or simply patching it up haphazardly. There are exceptions, of course. If you find a cupboard with the doors missing, the trim broken off and a rotted leg, it might be worth the work to save it. But if you decide this item will look better with a distressed finish that matches your kitchen, that's not too much of a problem when so many pieces will need to be newly manufactured to get it back into shape. Again though, try to determine whether or not the item is a rarity before you alter it extensively. Those really hard to find period pieces can be well worth restoring, and still hold quite a bit of value even with newly manufactured repairs when they are professionally done. Is your piece out of the ordinary? Is it a masterpiece or classic example of craftsmanship? Make sure refinishing won't diminish the value before starting a project. Was your furniture made by a notable craftsman or manufacturer, regardless of its age? Look for any marks or labels that might indicate the origin on the bottom or back of the piece. Would it be feasible just to give the piece a light cleaning and make minor repairs such as replacing missing brasses? Always choose the least invasive method for making a piece of antique furniture usable in your home. 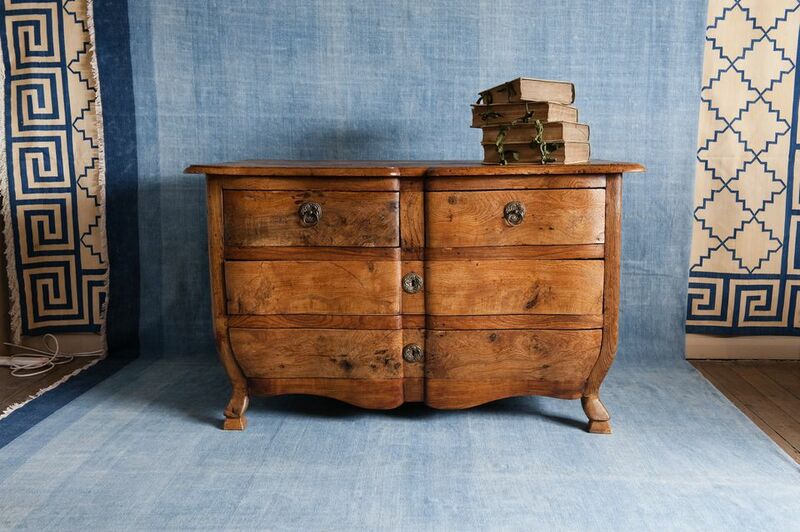 Focus on restoration rather than revamping whenever possible, especially with valuable pieces of furniture. It all boils down to doing some research and using your best judgment. When that's not enough, seek the advice of a professional before restoring old home furnishings to be sure they maintain their value.